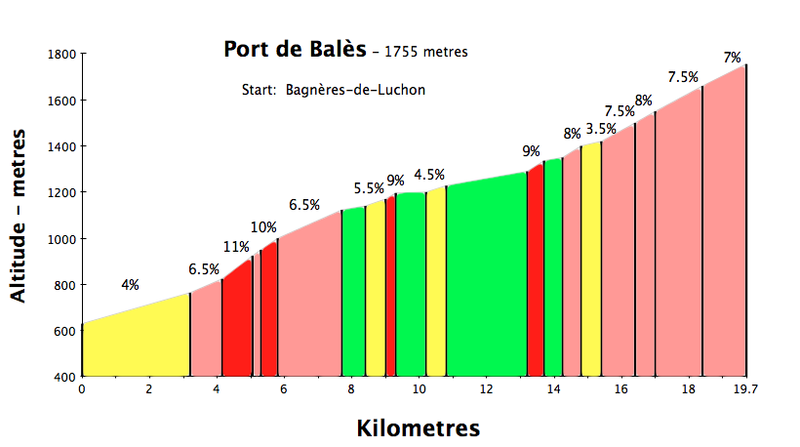 Below is a map of major cycling climbs in the French Pyrénées. I have cycled the purple markers (details below). 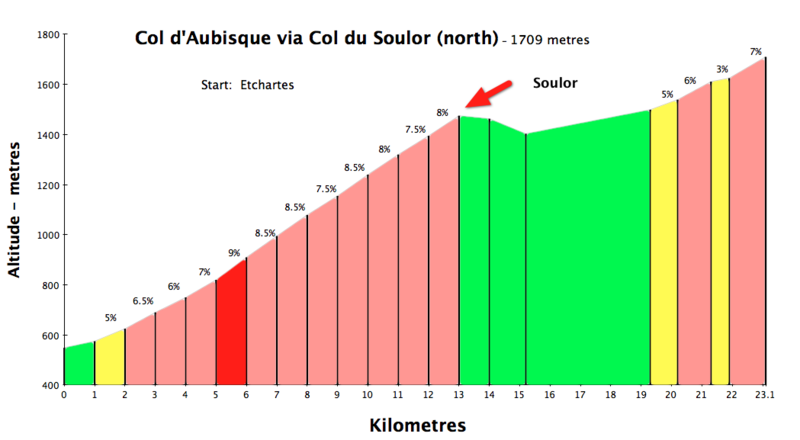 The yellow markers are major climbs that I have yet to do – maybe next time. The red flags are just a few minor Cols (there are hundreds more). 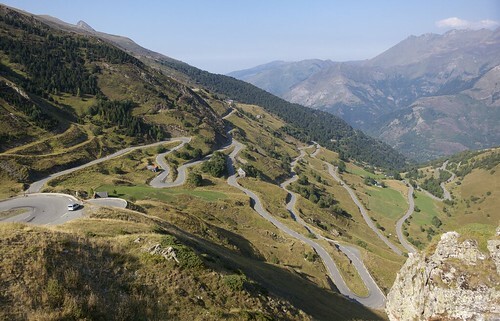 Feel free to suggest any other favourites climbs. I have made two visits to the Pyrenées: May/June 2009 and September 2012. 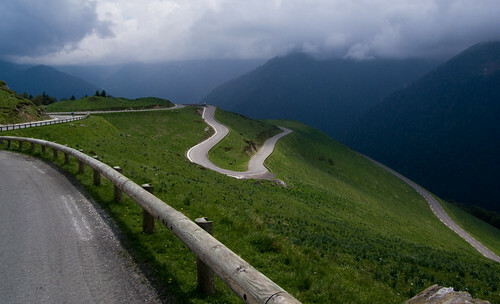 If the weather is good, avoiding the summer crowds is worth the effort. 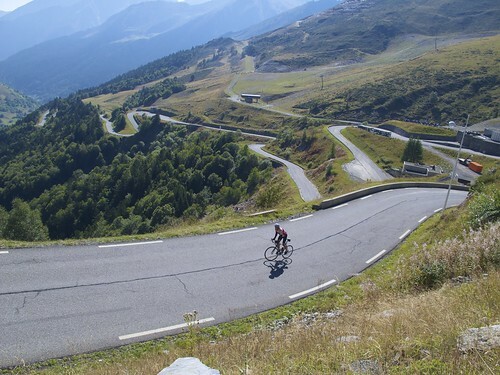 Below are all the loops and Cols I have done. All of them are good enough to recommend — and a couple are all time favourites. 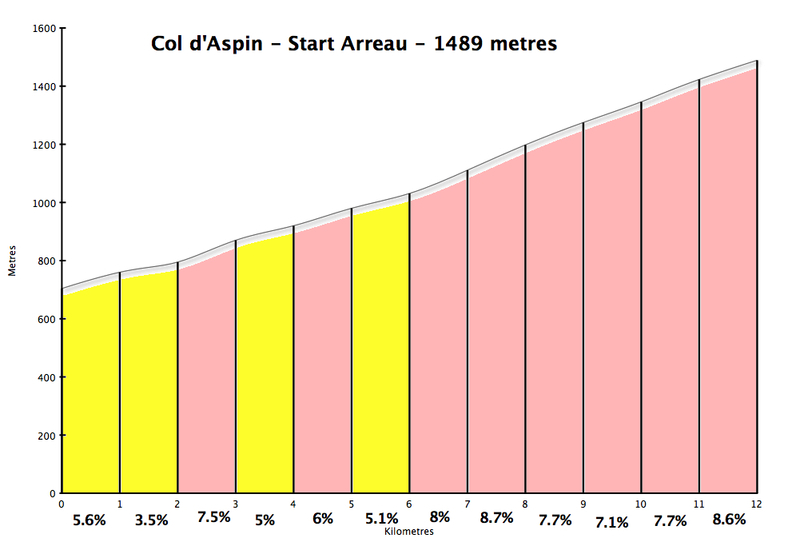 The 2009 Tour de France will climb this side of Tourmalet via Col d’Aspin. Details here. 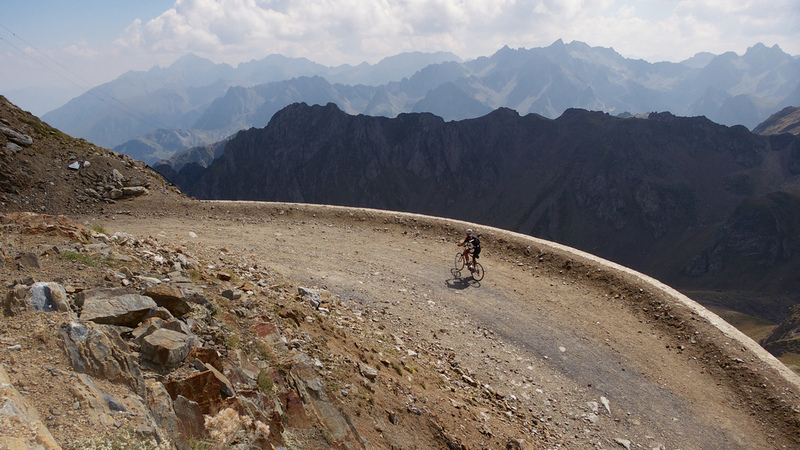 The highest paved pass in the French Pyrenées – details here. 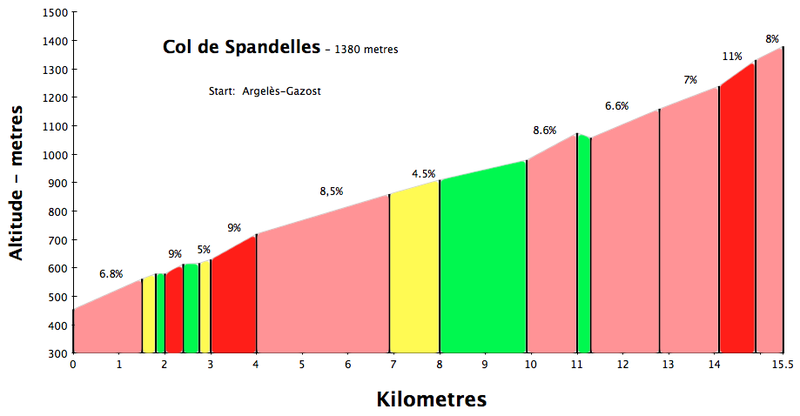 Beautiful and high climb filled with hairpins and then a small extension to a lovely dam/lake – details here. Perhaps the funnest ride I have ever done. 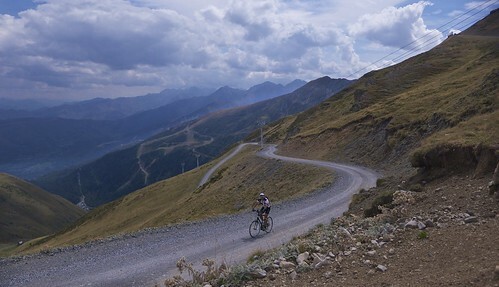 To be clear, it requires a mountain bike above Tourmalet – details here. 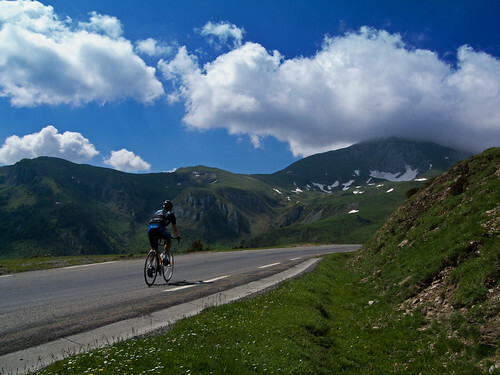 If you cycle just one climb in the French Pyrenées, make it Lac de Cap de Long – details here. 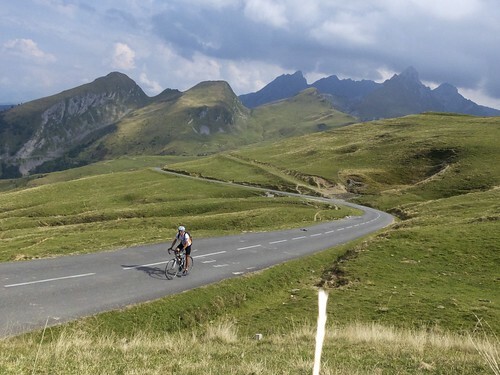 A quieter and more challenging route to Col d’Aubisque – details here. Deep in the quiet valley above St-Lary-Soulan, a quiet climb to a small ski station – detail here. 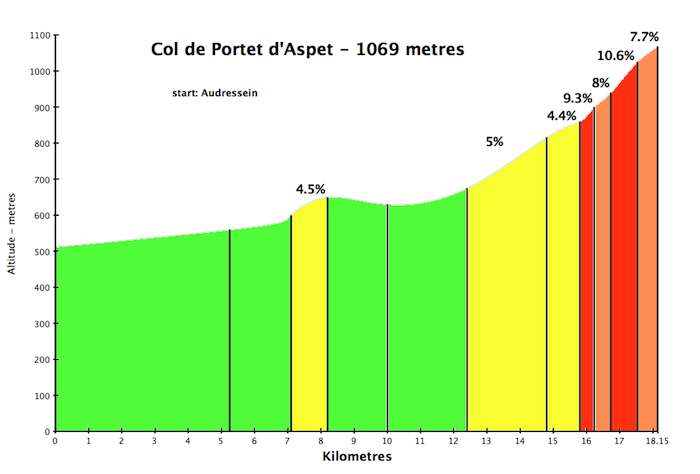 Both climbs will appear in 2009 Tour de France . Details here. 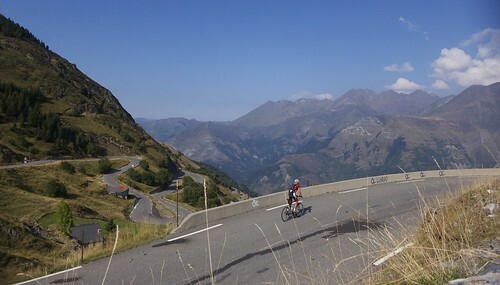 The Alpe d’Huez of the Pyrénées? Details here. 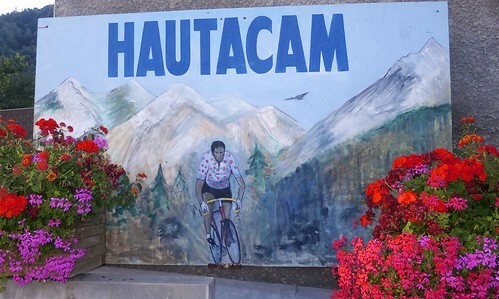 The start town, Bagneres-de-Luchon, is surrounded by 15 peaks above 3000 metres. Views all day. Details here. 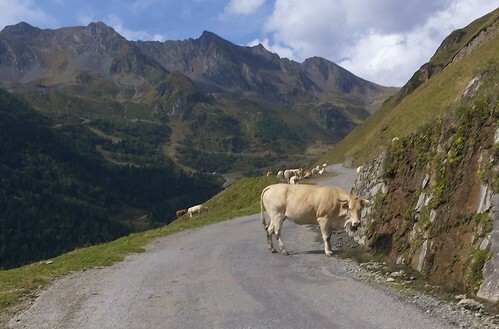 Falling cows and legendary climbs. Details here. The better side. Details here. 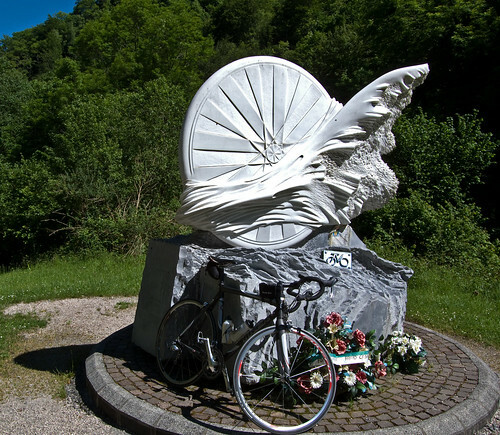 Remember when Armstrong caught his bike in a fans Musette? That was at Luz Ardiden. 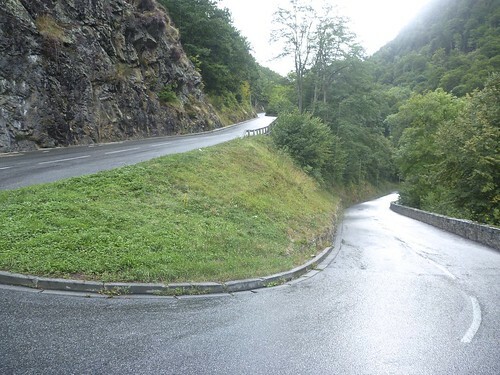 Great hairpin-filled last 3 kilometres – details here. 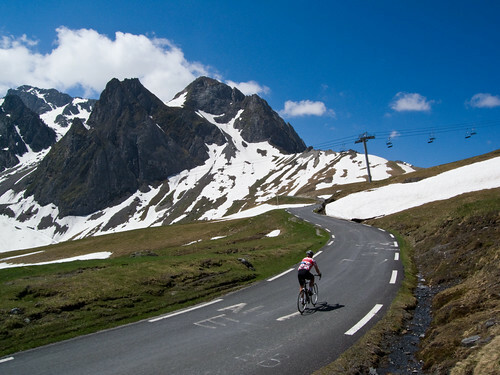 Another ski station with a Tour de France history – details here. 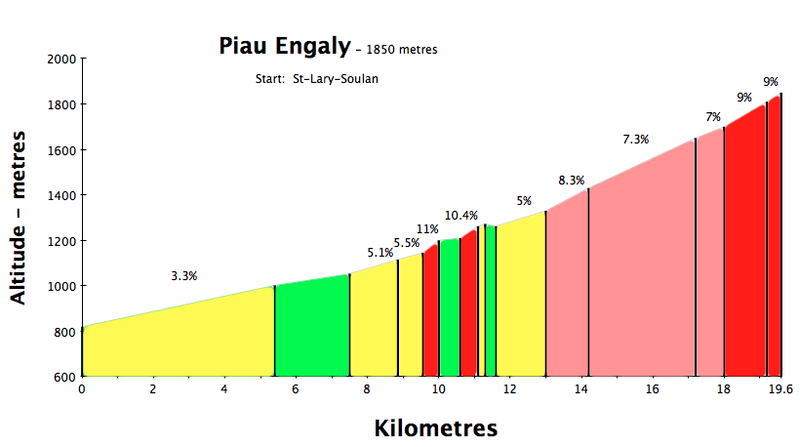 A very scenic loop of mid-altitude cols starting from St-Lary-Soulan in the French Pyrenées – details. 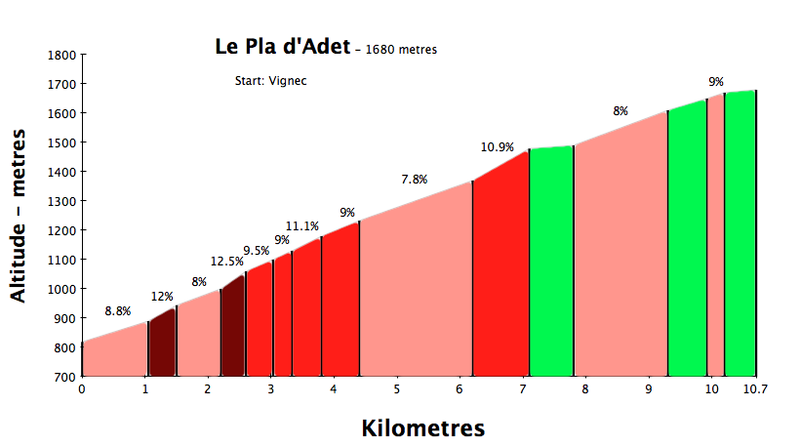 At a minimum Le Pla d’Adet is fun to say. The ski station – details. 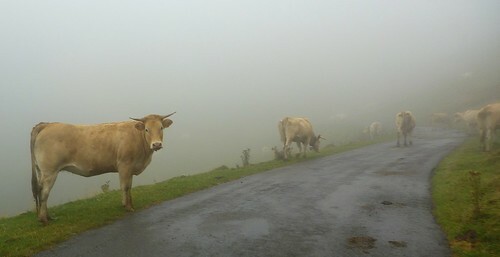 An eerie fog and many cows accompanied me on this “new” Tour de France climb – details. 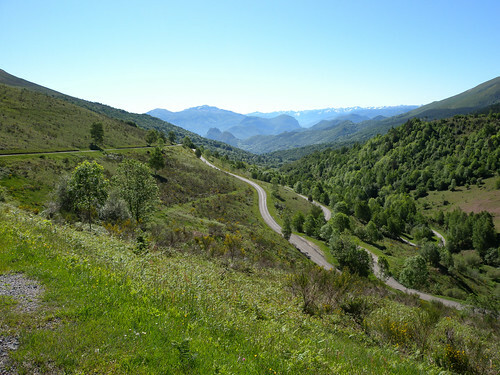 I figured I had time to sneak up Col de Portillon and the Spanish border before the long drive home – details. 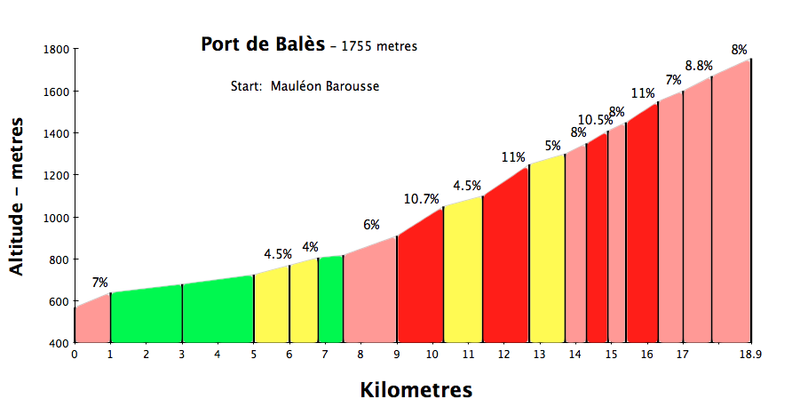 Stage 12 of the 2011 Tour de France. 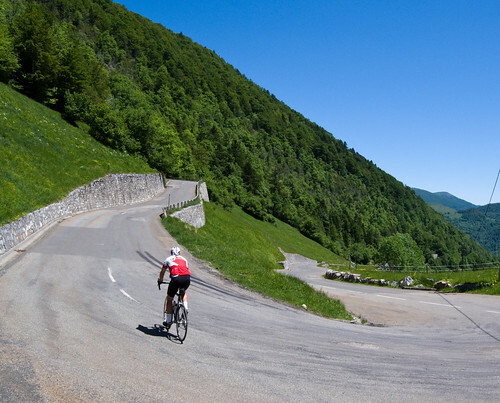 La Hourquette makes its first appearance – a quiet, harder alternative to Col d’Aspin. 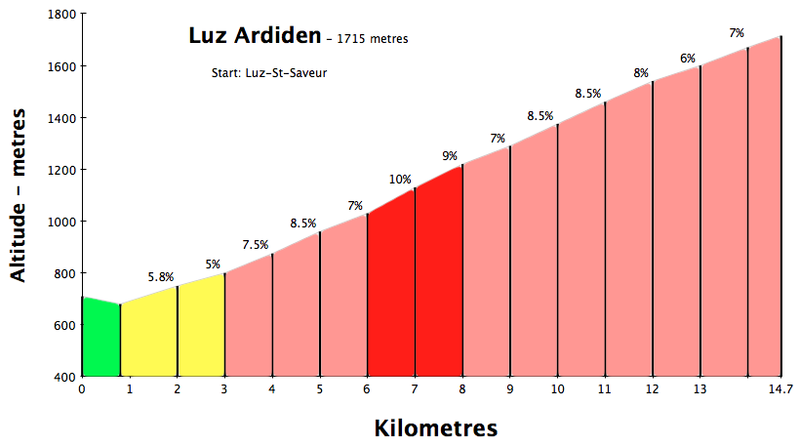 Luz Ardiden is a small ski station atop some great hairpins. 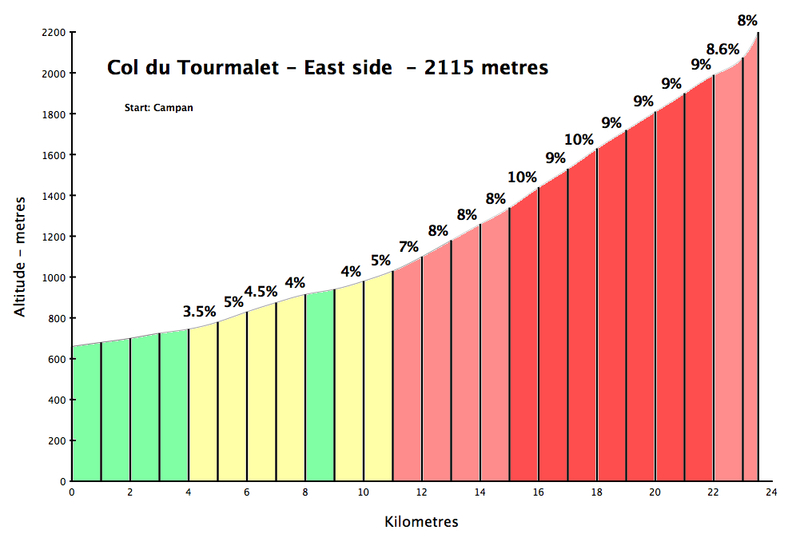 The climb starts near the beginning of both Tourmalet and Hautacam. I review the route here. 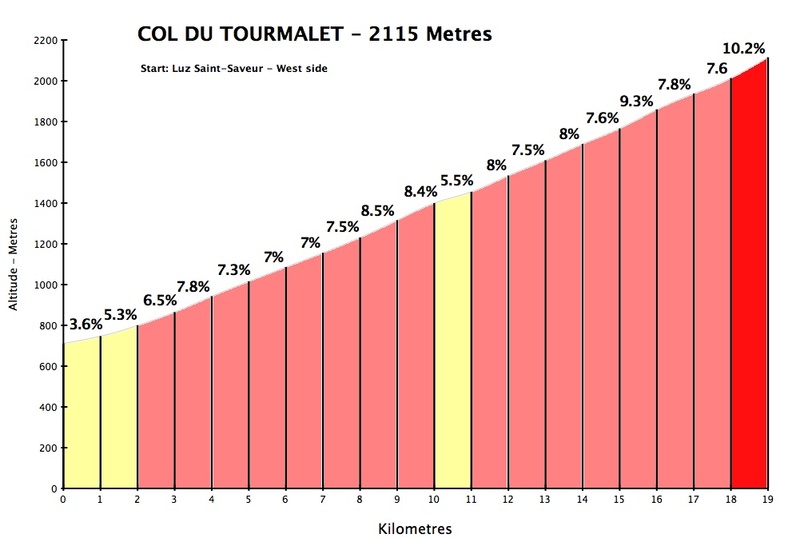 Stage 17 of the 2010 Tour de France climbed the short but steep Col de Marie Blanque, the quiet and lessor know north side of Col du Soulor, before finishing atop Col du Tourmalet. 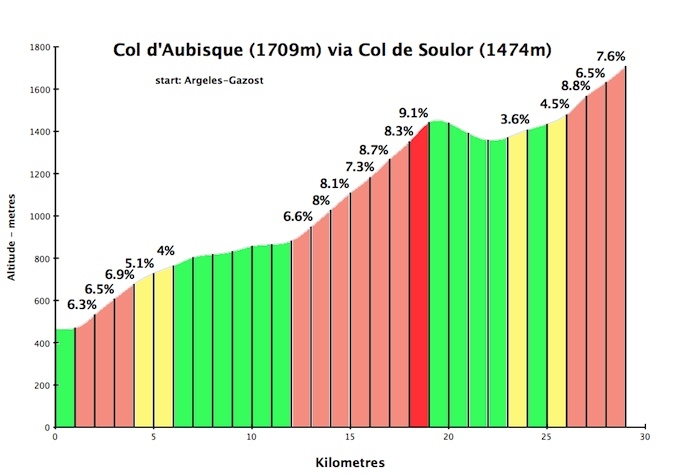 It looks as if you have already reached your target of 100 cols (69+32). Either you should stop now or else change your goal to 200. I’ll bet you’ll reach 200! 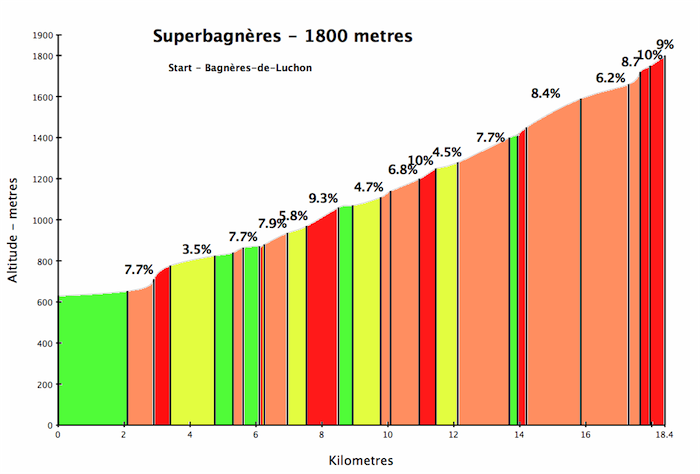 Col Bagargi 1327m (à coté du Burdincurutcheta), Hamilton l’avait grimpé en tête. Port de Boucharo 2270m, par le Cirque de Gavarnie, frontière avec l’Espagne. 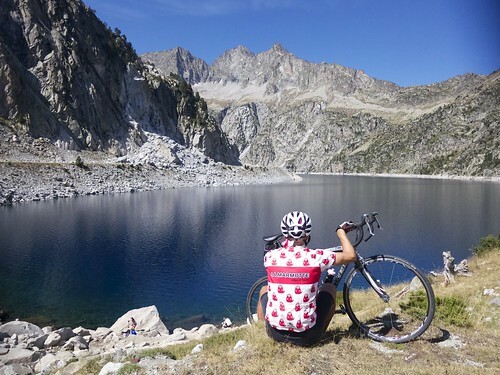 Love your website and very envious of the “cycling” lifestyle. 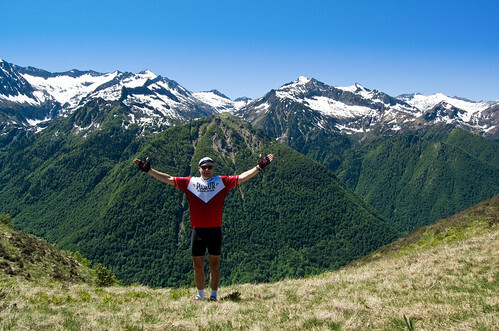 For your Pyrenees week, where would you recommend staying that is central enough. 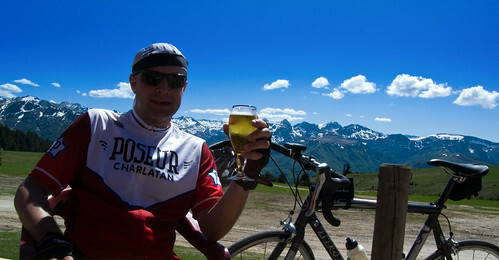 Merci Bastien, I will add those climbs to the map so I remember to cycle some of them next visit. 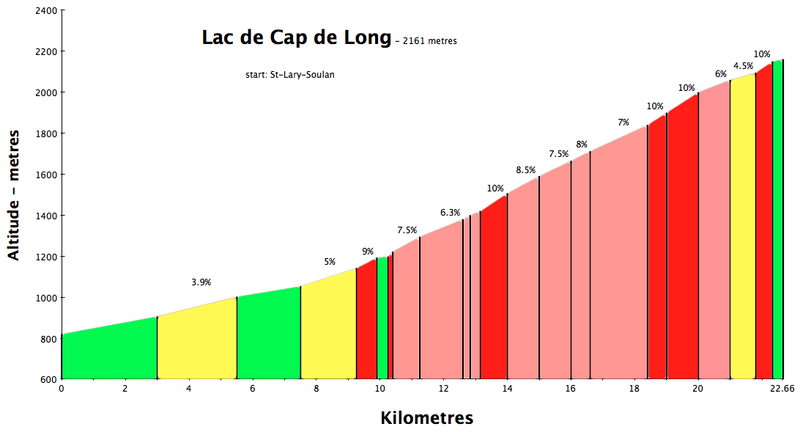 Mark, Foix, Luchon, and Arreau all seem ok and convenient places to stay. But if you were only based in ONE location? 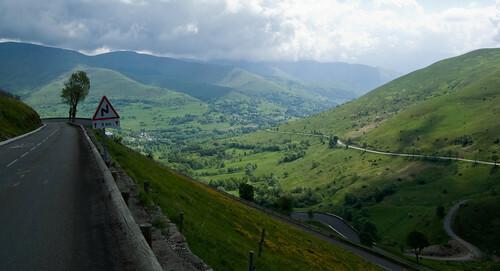 Then I guess I would stay in the valley between Tourmalet and Aubisque. 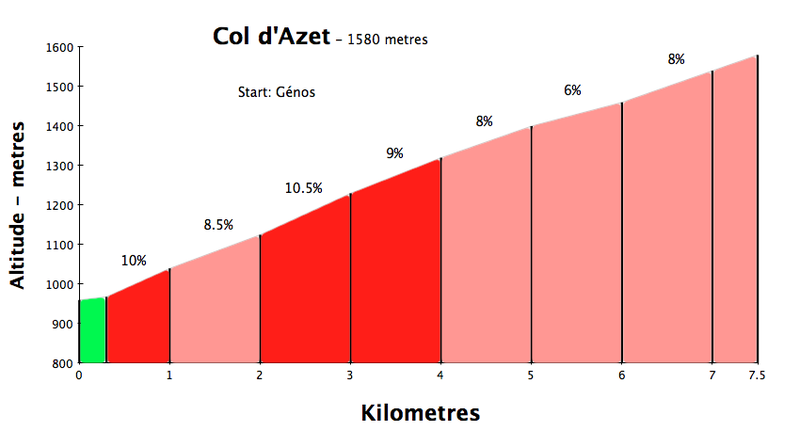 For example, Argelès-Gazost – which is a nice enough little town. I wonder if you have ever cycled more over 6 consecutive days. 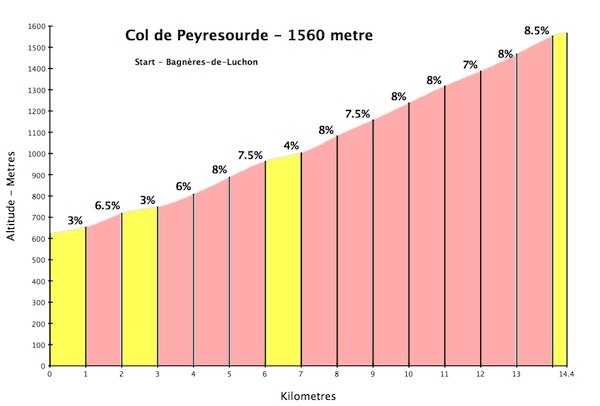 I don’t think that even your Tour d’Enfer performance tips this. Very strong! Amazing! 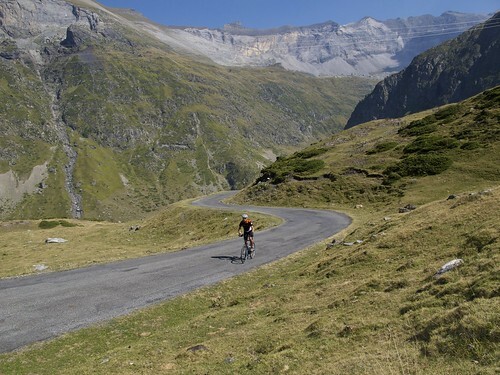 just wanted to thank you again: your blog is an amazing resource for anyone looking to ride in Europe’s best places! 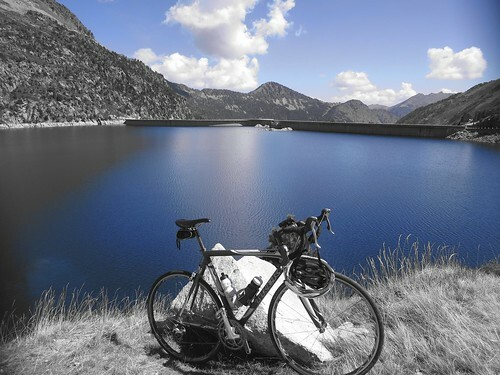 Such posts are the kind that stay on people’s bookmarks forever, contribute amazingly to the cycling community and get recommended by cyclists on bike forums all over the world – which is exactly what I am going to do now on the bike forum I usually visit. 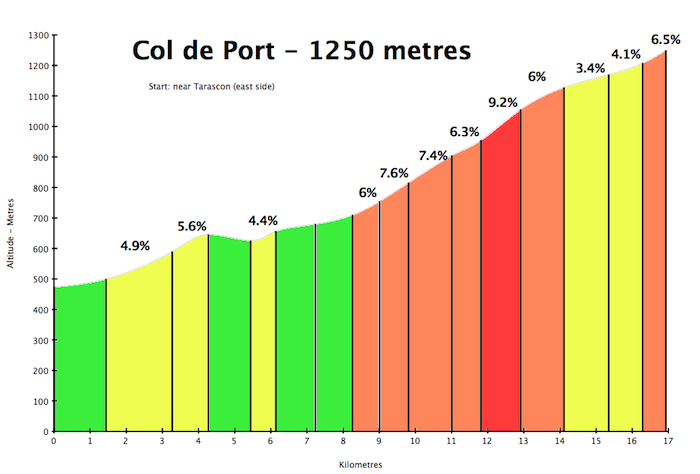 I added the Col de Portillon into the mix. 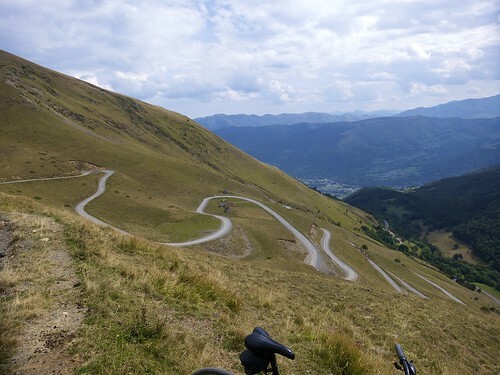 I left from Luchon for the beautiful ride into the forest. 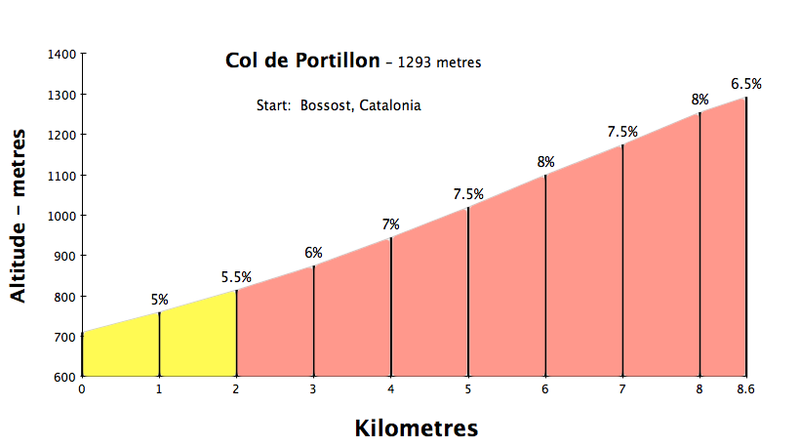 I thought Col de Portillon (which allows you to ride into Spain) would be a nice little rest climb since I had done Tourmalet and Luz Ardiden the day before. Was I wrong! 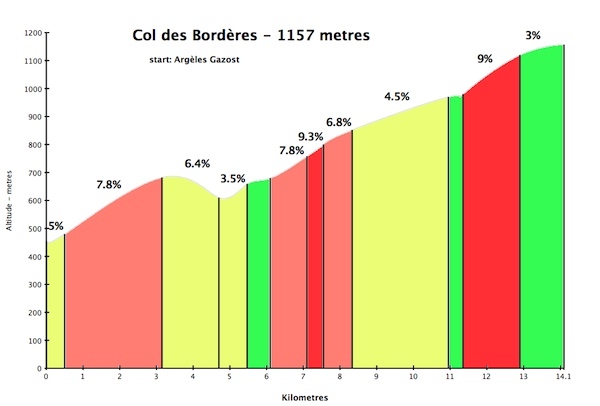 There were stretches of over half a kilometer at greater than 13%. 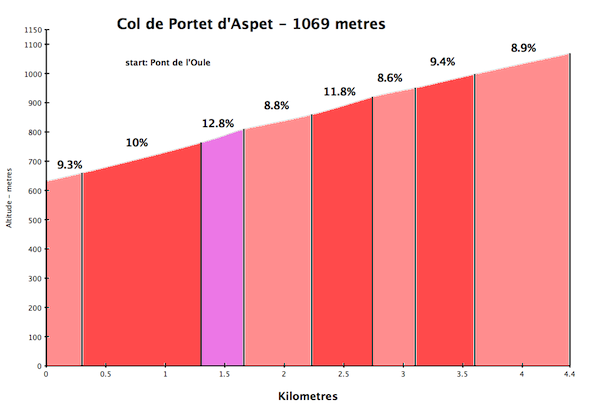 It was a killer climb and nothing like the 6.6% average advertised at the bottom. 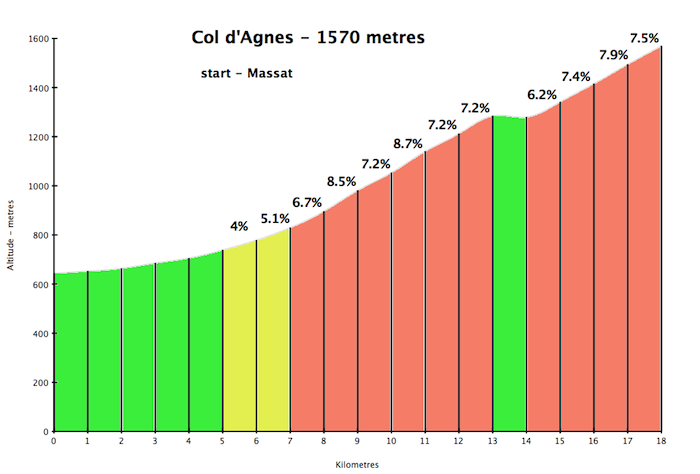 After I returned I found a climb profile at http://www.climbbybike.com. 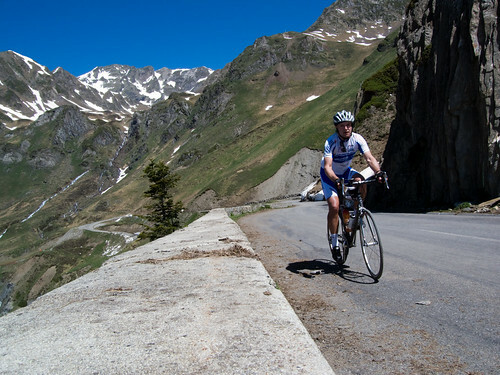 Mark was asking about where to stay when cycling in the Pyrenees. 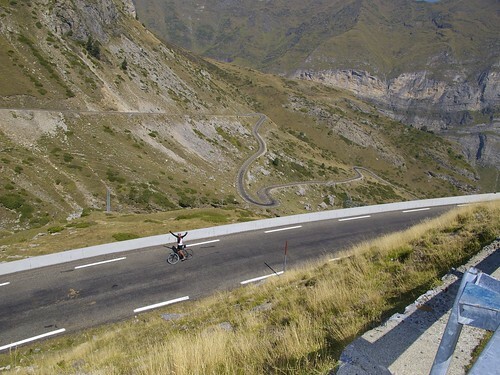 I go at least once a year to cycle the cols in this area and sometimes to watch the TDF during July. 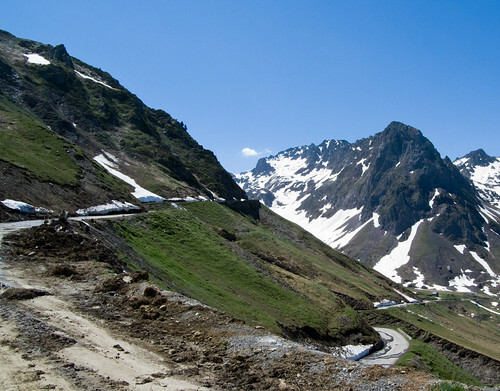 Friends and I have stayed a couple of times at a house in Bagneres de Bigorre, which is at the foot of the east side of the Col duTourmalet, called Villa Tamerza. 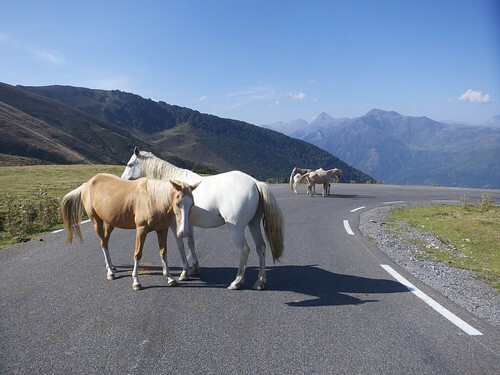 It’s a very central location; easy to get to from Toulouse, Biarritz or Pau airports (1hr 30min drive) and you can easily drive to any of the tours that Will mentions above. An amazing trip indeed. 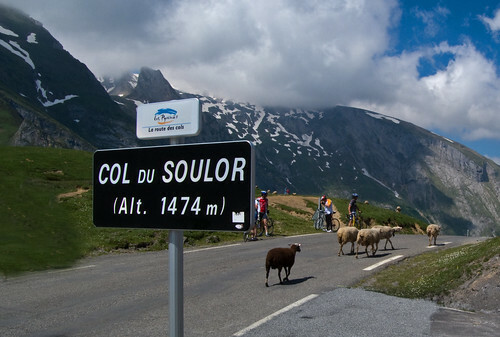 As a follower of Tour of France itlooks really appealing. It never occured to me that one could climb all those giants in a single week. 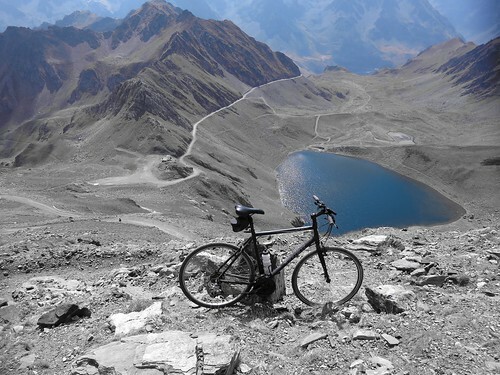 Didn’t you need to take a car, bus or something else than your bike? 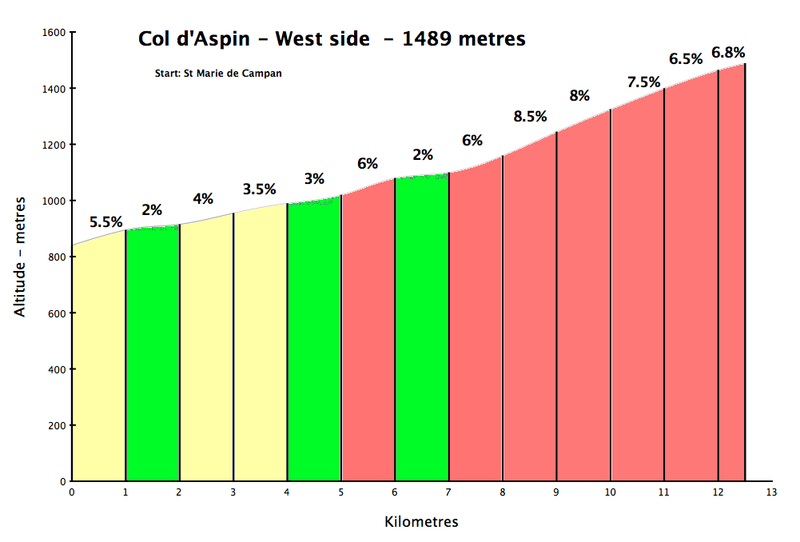 Is there a good base (town/city) on the Spanish side of the Pyrennees from which one could do a number (a week’s worth) of the Spanish Pyrenneean cols? i.e. an Argelès-Gazost or Luchon or Arreau of Spain? 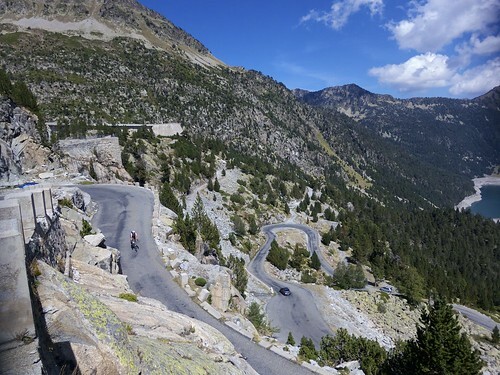 I realize Girona is a great base for routes, but I am looking for something a bit more into the Pyrennees from which one could ‘bike out the door’ (not drive) to a good number of mountainous routes. I have yet to be over the border. 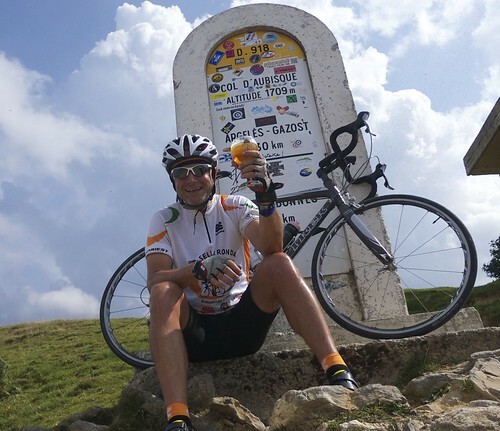 What a great site Will, congrats on all the cols you’ve conquered, inspirational to the rest of us that are a number of cols behind. 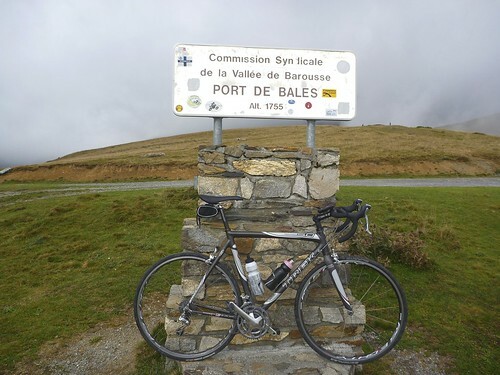 When your next around in the Pyrenees it would be great to see you at Gite Belle Vie, we are centrally located between Aspin and Tourmalet and more than just a little cycle focused. 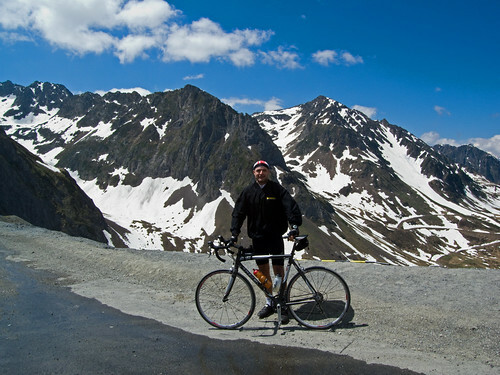 Two questions; where exactly did you stay in the pyrenees, and, do you think october is too cold to ride there? 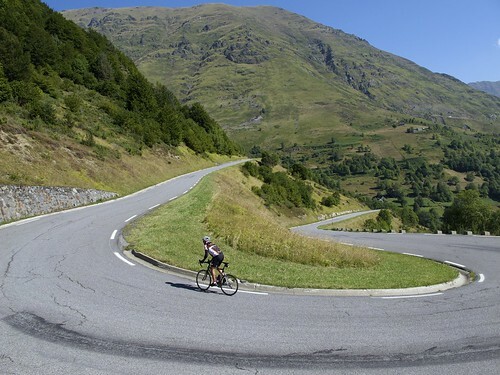 I suppose the best place to stay in the Pyrénées is in the valley between Tourmalet and Aubisque, for example Argeles-Gazost. 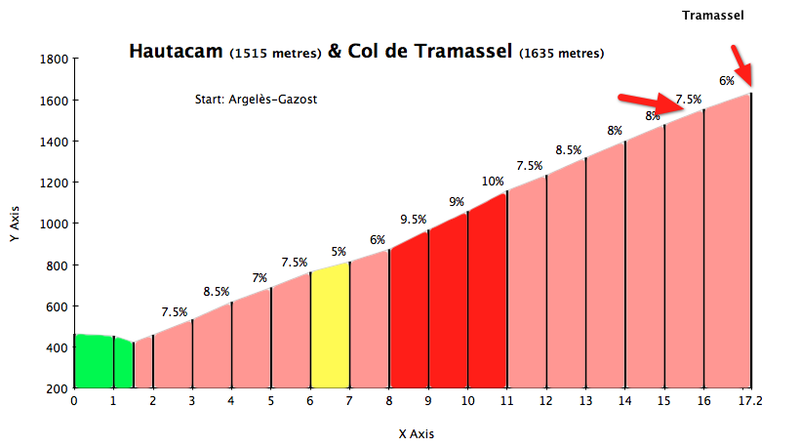 At the base of 7 or 8 climbs. thank you very much for the info on biking. 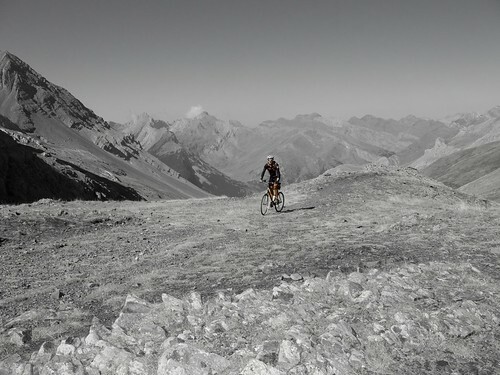 We did most of your climbs and the guides were very helpful. Loved staying in Arreau. We biked /hiked the Midi from Tourmalet and that was a great day. Last 3 wks of Sept. were great–not crowded, good weather. thanks for the note. Well done, glad you had great weather during a quieter time.